Babe developed a fascination with cameras while with the Yankees. He bought his first 16mm motion picture camera to film his teammates and various attractions like the Worldâ€™s Fair in New York and spring training on Catalina Island in 1942. When he was through playing, his love for cameras intensified as did his obsession for studying hitting. This passion developed into a project that would last several years and cost tens of thousands of dollars before it was finished. There was nothing else like it and in his mind it was the only way to get back into baseball. The project? A full length motion picture on hitting! 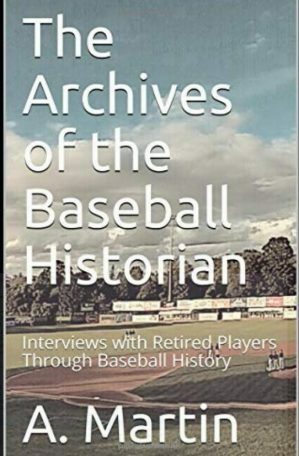 Driving across the country his mind harkened back to the first time he met Joe DiMaggio and how far they had both come from that day in 1932 and the different paths they had traveled. How one had an illustrious career filled with championships, awards, endorsements and famous women as wives while the other was acclimating to life after baseball; trying with all his might to get back in. Babe happened to be standing right behind the exchange when Hofmann asked him to warm-up with the kid. When they were done, he told Babe to go over to first base to take some throws from the kid whoâ€™d be taking ground balls at shortstop. After a few minutes of groundballs, Hofmann called him in to take some swings in the batting cage. It didnâ€™t take long before Hofmann pulled him aside and asked to â€œtake a look at him next year.â€ He wouldnâ€™t get the chance. Joe DiMaggio signed with the San Francisco Seals at the end of that same season and made his professional debut against Hofmann and the Mission Reds. Hofmann would never forget that either. 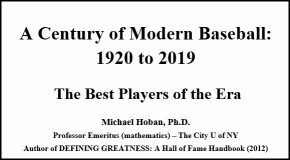 Years later, in 1942, Babe was sold to the St. Louis Browns in mid-season where Hofmann was a coach. 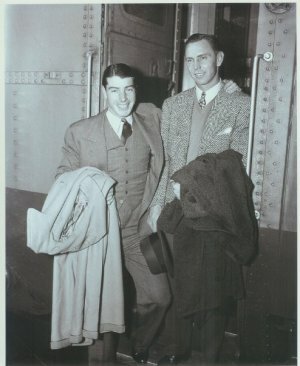 When Babe arrived in St. Louis to be with his new team, Hofmann pulled him aside in Sportsman Park and asked him not to mention to anyone that he let DiMaggio go ten years prior; that he didnâ€™t recognize what a talent he was. These were just some of the stories Babe was thinking about on the long drive; a drive that almost came to an abrupt end when passing through Texas, a report came across the radio that Marilyn Monroe had recently been released from Columbia Presbyterian Medical Center in New York City and was heading down to Florida to meet up with none other than Joe DiMaggio. It was thought by many that Monroeâ€™s stint in the hospital was due to depression after her marriage to playwright Arthur Miller ended a month prior. This wasnâ€™t good for Babe, who felt Monroe would inevitably take up most of Joeâ€™s time and everyone else would be pushed away. But he decided to keep on driving. He had to get footage of DiMaggio to make his movie complete and that was that! After several days of driving, Babe finally pulled into the Yankees training camp in St. Petersburg. He noticed right away that things had changed over the years. For one, there was a fence around the parking lot that never used to be there. And there was a security guard stopping all cars trying to enter the facility; getting to see the Yankee ballplayers in person had become very difficult, especially Joe DiMaggio. But it didnâ€™t take long before Babe made his way to the Yankees clubhouse where he came face to face with his old teammate. After their obligatory hellos, he explained to Joe why he had traveled all the way from California; how he wanted to interview him on the subject of hitting and then film him in the batting cage in regular speed as well as slow motion from various angles. Joe agreed to do it and without wasting any time, Babe left the clubhouse to set-up his gear. When Joe came out, he was dressed in his familiar #5. Babe took a minute to review with him what they would be talking about in their interview. He was ready to start shooting when suddenly Joe became irritated. â€œHold it, Babe.â€ Through the lens Babe could see Joe looking off to the right where Marilyn Monroe was being interviewed by a magazine writer and photographer. The interview had been going on for some time and Joe was becoming increasingly more concerned that it was too much for her. He stopped Babe several times asking the reporter to leave Marilyn alone. Looking through the lens of his camera, Babe could see how concerned Joe was for Marilyn.Â However, she insisted that she was fine and the interview continued with Marilyn arching her back each time the photographer lifted his camera. There were reports that the two were trying to reconcile their past differences and rekindle their relationship. He was very much in love with her and it was quite apparent to Babe. 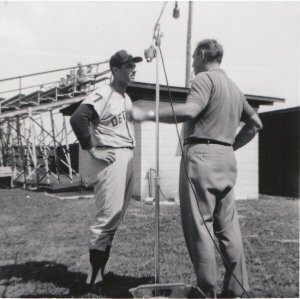 The reporter got what he wanted and so did Babe, who moved his equipment to the batting cages down the left field line where DiMaggioâ€™s son, Joseph Paul, was taking swings. They watched the younger DiMaggio for a while as Babe set up his equipment. That is when Joe confided in Babe that he wished heâ€™d spent more time with his son. It didnâ€™t take long until Joe stepped in. He started out easy, just popping the ball, gradually building up the strength of his swing. Then that familiar swing that had caught Babeâ€™s attention so many years prior appeared once again and balls were starting to spray across the field with the utmost ease. The camera was rolling when suddenly Babe heard an ominous noise in his Bolex. And just like that, it quit. Three thousand miles from home and perhaps the greatest living ball player doing anything to please him and Babeâ€™s camera breaks! There was only one thing to do and that was rush in to town and try to find a Bolex dealer and see if he could get the camera working again. But that would mean removing the film from the camera which would expose it and ruin it instantly. He left the complex with a pretty good idea of where the nearest shop was and luckily found it without wasting too much time. The clerk found the problem and fixed it but not until an hour and a half had elapsed. Babeâ€™s biggest nightmare was that Joe would have left the ballpark and an opportunity would have been squandered. When he arrived, he parked his car and gazed out toward the batting cages and no one was there. A sick feeling set in. The clubhouse security guard informed Babe that Joe had returned to the clubhouse after waiting for a while and was probably taking a shower. He was! Babe sent in a message telling him he was ready to shoot. Then he waited. The Yankees had left the main diamond long before and there was no one else around. Joe hailed a groundskeeper like a cab on 5th Avenue. The fellow pulled up in a tractor with a trailer attached to it and Babe set his camera equipment inside. The two climbed on and sat side by side and talked on the way back while the Florida sun began to cool. 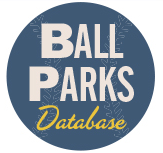 Though a little more gray, and a lot more experienced, they were still the same two kids that met 29 years prior at Recreation Park in San Francisco. The groundskeeper dropped them off at the clubhouse and after thanking Joe several times, Babe locked his equipment in the trunk of his car and Joe disappeared once again to shower and change. Walking back towards the clubhouse, Babe saw Joe Jr. talking with Marilyn. He decided to approach the two and thank them for allowing him to take up Joeâ€™s valuable time. He introduced himself to Marilyn who was dressed very nice. He explained to her and Joe Jr. that he had known Joe from the day he tried out with the Missions back in 1932. How at the time he wasnâ€™t very tall, maybe 5â€™9 and about 165 lbs. Marilyn broke in saying, â€œYou see, Joseph Paul, the man says your Dad wasnâ€™t very tall at that time. Thatâ€™s what Iâ€™ve been telling you, you can still grow taller.â€ Babe was impressed with her genuine concern for Joseph Paul. They spoke for maybe 10 minutes before Babe said goodbye. He was happy he introduced himself to her â€“ she would die just one year later. As they say in the film business, â€œThatâ€™s a wrap.â€ It was Mission Accomplished. Never one to let an opportunity slip by, Babe decided to visit some other camps in Florida and interview star players of the day. This footage would also end up in the final movie that he finished in 1963, where, during the winter meetings, Babe showed the ninety minute film to Charlie Finely. Finely was so impressed after watching it, he signed Babe to a contract as a hitting coach for the Athletics in 1964 making him the first coach to use film as an instructional tool. A tool used in every big league clubhouse today. Throughout the years, many have written about Joe DiMaggio; some of it not so flattering. A lot of writers have opined about the DiMaggio off the field; how cheap and selfish he was. I never met Joe DiMaggio and neither did a lot of the people who have written about him. To me, heâ€™s always been a beacon of class. While he may not have given some people what they were looking for, if you were a kid from the neighborhood, a teammate or his friend, heâ€™d give you the blood off his hands. I thought Iâ€™d close with an excerpt taken directly from my Grandpaâ€™s personal writings. *Matt Dahlgren is the author of Rumor In Town: A Grandsonâ€™s Promise to Right a Wrong. To order your copy visit www.rumorintown.com. 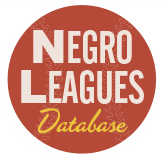 Incidentally the film of Joe DiMaggio, footage of countless other hitters as well as interviews and all of the reels from his playing days burned in 1980 when Babe lost his home to a fire. The ninety minute movie on hitting burned, too. Wonderful story, Matt. I enjoyed reading it. You have a very relaxed style. What a shame to have lost such valuable film in a fire. Thank you, Chip. Glad you enjoyed it.